Are you stuck for ideas when it comes to planning music therapy activities for your teen populations? Are you lost when it comes to pop music and knowing what songs are appropriate for this population? Do you work with teens with autism and struggle to find ways to engage them in social interaction? Do you work with teens that are “too cool for school” when it comes to music therapy? 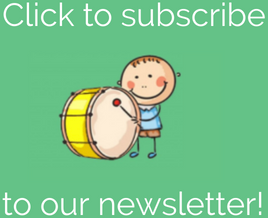 Do you have limited time to create new templates for your activities and musical games? I have, at some point in my career, answered YES to each and every question listed above. However, after nine years of experience working with teens with various special needs, I have a storehouse full of ideas that I cannot WAIT to share with you! 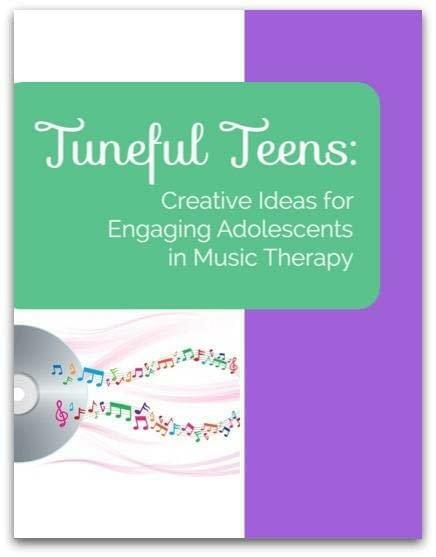 So, I created an E-Book called Tuneful Teens: Creative Ideas for Engaging Adolescents in Music Therapy. If you follow the Musical Games series on my blog, Wholesome Harmonies, you have seen a small preview of the ideas I will be sharing in the Tuneful Teens E-Book. But there is SO MUCH MORE! Tuneful Teens is chock full of intervention ideas, song ideas, sheet music, and templates for a variety of activities that are appropriate and engaging for teens. I am SO excited to share my ideas and most successful interventions with you. Tuneful Teens is your guide to navigating the world of music therapy with adolescents, and it’s only $16! Don’t need any more convincing? (Or keep reading to find out more about my story and the goodies in Tuneful Teens). My first experience working as a music therapist with teens came when I started my internship at the Matheny Medical and Educational Center. I was terrified. My ‘comfort zone’ had always been with children. I had no idea how to approach the world of pop music and age-appropriate activities for individuals who functioned at a different level than their chronological age. However, after jumping in, I have now gained nine years of experience working with teens with various special needs and I have a storehouse full of ideas that I cannot WAIT to share with you! I currently provide group music therapy for the Friendship Circle of Miami, program for teens with autism and other special needs. This group has helped me generate some of my most successful ideas and has served as a “testing ground” for my new ones. – Musical Games –> Learn how I implement my Musical Quiz Game, Musical Hangman, Guess Who, and MORE musical games. Plus gain access to the template for each one – no extra prep work needed! – Instrument Jams –> Find out how I facilitate jam sessions and use instruments to work on Auditory Perception Training (APT). You’ll also have access to sheet music for my Halloween Song Story…you DON’T want to miss this! – Social Skills –> Learn how to musically engage teens in dialogue and action about social skills…template included! – Songwriting –> Find out which popular songs are most successful in facilitating adapted songwriting. – Move and Groove –> See how I use movement activities to target Auditory Perception Training (APT)…sheet music is included! – Relaxation –> Read my guided imagery script and learn how I take the teens on a relaxing musical journey to the ocean. AND THAT’S ONLY THE BEGINNING – I share many more ideas, tips, and strategies in the 40 pages of Tuneful Teens. Each category lists specific intervention ideas, complete with goal areas, what you will need to prepare in advance, steps of the procedure, AND the template or sheet music (where applicable) for use in your own sessions right away! No extra prep time needed. BONUS…I’ve included my Teen Music Survey that I give to each teen group I work with to determine their musical preferences. AND I’ve included a Pop Song Hot List with all the freshest, hottest songs (updated every six months!) You do NOT want to miss out on this! My hope is that this E-Book will not only provide you with creative ideas, but will also help YOU generate your own ideas to engage teens during music therapy. Don’t work with teens? No problem – the activity ideas in Tuneful Teens can easily be adapted for children and adult populations. The best part? You can have all this – over 40 pages of creative ideas, sheet music, and activity templates – all for only $16! Here’s what others are saying about Tuneful Teens…it’s sold over 350 copies! “When I first started out as a new music therapist, the population that intimidated me the most was the tween and teen crowd. That’s why I was so excited when my friend and fellow music therapist Amy Kalas Buser launched her E-Book, Tuneful Teens. Amy provides everything you need — step by step procedures, templates, sheet music, etc. 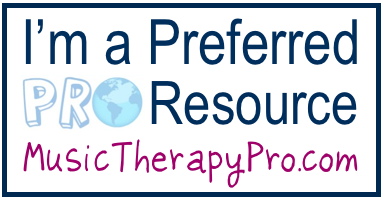 — to implement the interventions in your music therapy sessions. I highly recommend Amy’s book, and also want to give her a shout-out for celebrating the first year of her wonderful blog, Wholesome Harmonies. It has grown leaps and bounds since last year, and I’m excited to watch it continue to do so!